Wintertime is almost here, and drivers across North Dakota and Montana are gearing up for the harsh weather ahead. It is essential to ensure your car or truck is ready for the inclement weather conditions, including sound mechanical operations, adequate tire tread, and uncompromised auto glass. Failure to replace broken windshields can leave you open to dangers and legal consequences. It’s important to take extra measures during the freezing season to keep your vehicle safe, and Alpine Auto Glass is here to help. Our team specializes in windshield repair and replacement services in Williston, delivering high-quality outcomes for personal drivers and fleets of all sizes. 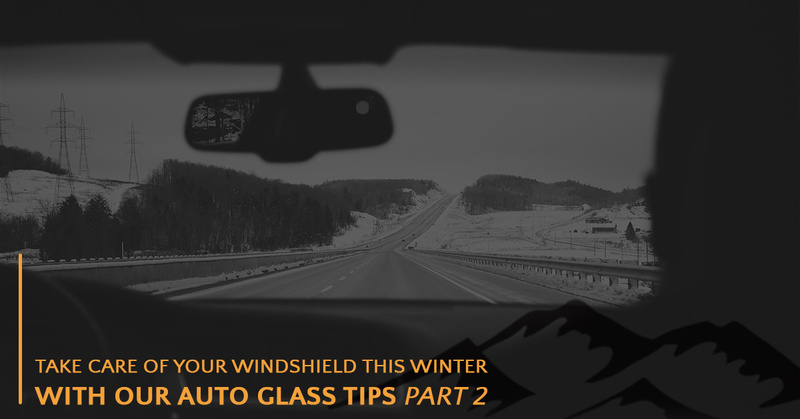 Today, we’ll conclude our discussion on our tips to help you keep your windshield safe during the winter season. If you’re in need of an auto glass shop for immediate service, be sure to contact us today! Many drivers are aware of the chips and minor cracks on their windshields, and most assume that these damages will stay in place. It is impossible to tell when and how a windshield undergoing temperature changes will crack, but sealing this area before it can spread has been proven to help prevent costly outcomes. Studies have been done to establish the statistics of spreading windshield damages in freezing weather, and the results are not good. Once the temperatures dip to freezing, your windshield is nearly twice as likely to crack. Alpine Auto Glass is here to deliver complete peace of mind for your auto glass, inspecting your windshield and offering a comprehensively cost-effective approach for any discrepancies. We are here and ready to provide your free consultation! Wintertime driving entails thawing out your frozen car windows in order to see clearly. A majority of the problems we see when drivers come to us for auto glass replacement stems from rapid temperature changes that impact damaged or weakened structures. Overnight temperatures will cause the molecules in your windshield (and other glass) to slow down, placing stress across the surface as the material contracts. When a rapid blast of hot air is introduced, the resulting expansion will create additional stress for the glass. Your windshield is designed to stand up to the temperature changes frequently encountered throughout the year, but small chips and cracks can create an inviting place for additional damage. Tip: Many people have tried using hot water from inside the house to quickly thaw off their windshields. This is NOT RECOMMENDED. The glass will be unable to withstand the changes and will likely crack or shatter. Before winter hits in full force, we recommend stopping by our auto glass shop in Williston for service. Alpine Auto Glass is proud to be your trusted windshield replacement and repair experts, and we will work hard to deliver the best outcome for your vehicle. We also offer window tints, clear bras, and more to keep your vehicle safe through the holidays. Contact us today to learn more about auto glass replacement services or stop by our shop for assistance!